The MFRSR infers the solar beam intensity by making successive global and diffuse measurements and computing their difference. In this way it simulates measurements of a sun photometer. 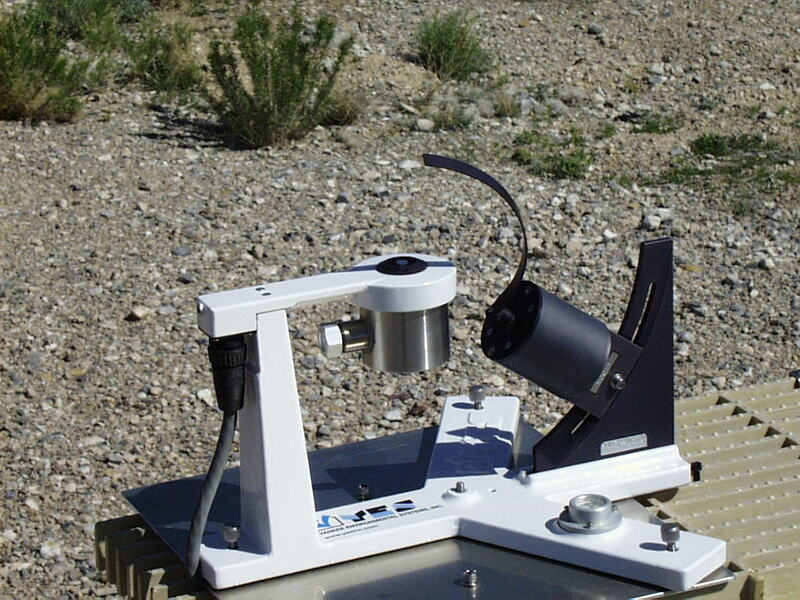 In processing the raw data, the cosine response of the instrument is accounted for, thus allowing for accurate calibration using the Langley method. 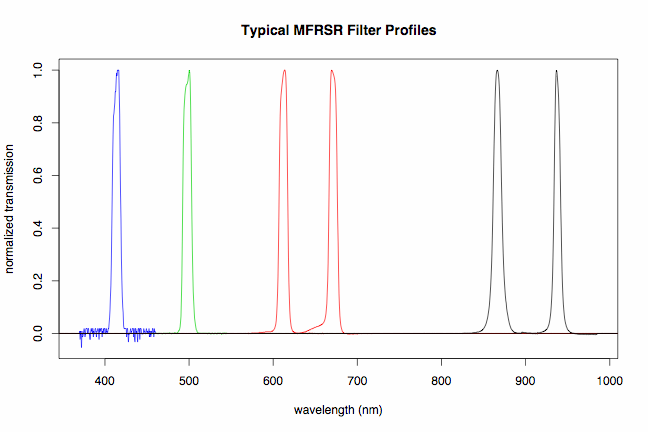 MFRSR channels are nominally 415, 500, 614. 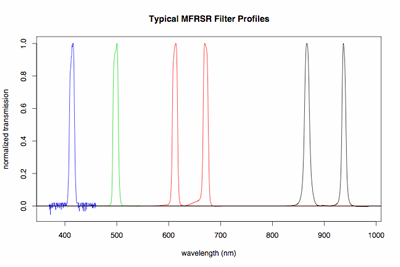 670, 868, and 940 nm, although each MFRSR has unique measurement channels that may be up to 4 nm different than the nominal values. The actual measurement wavelengths are used in the SURFRAD algorithms. The 940-nm channel is not processed for AOD because of its high sensitivity to water vapor.